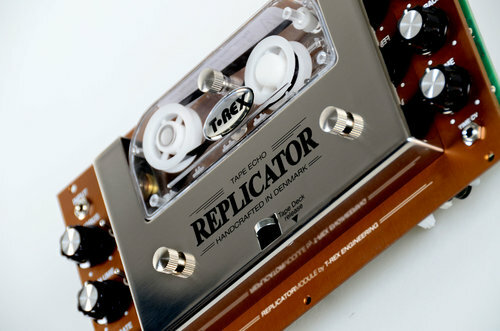 The Replicator Module uses much of the same technology of the ”stompbox” version, but certain parameters and features are optimized for Eurorack/studio use. CV inputs accept 0-5V control signals, so you can now plug in your favorite oscillator module and control delay time and/or feedback electronically. 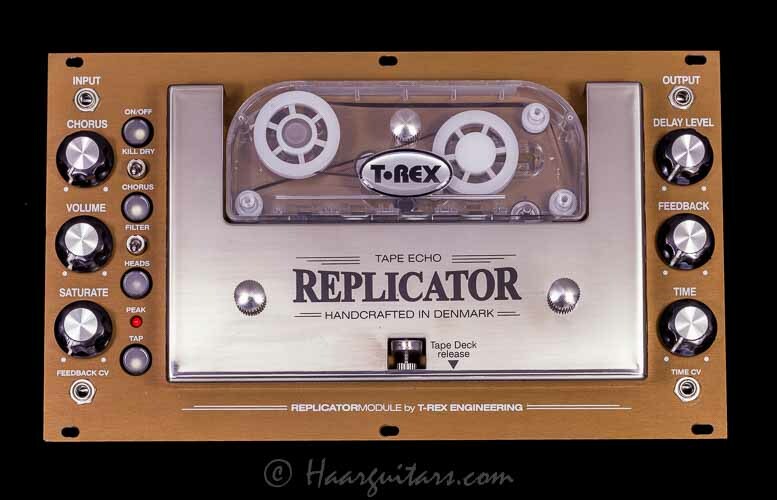 a perfect marriage between 70´s ambience and contemporary sound manipulation. The added filter switch dampens high frequency content in the delay signal for less noise and a darker echo. The internal power rails has been modified to run from the +/-12V Eurorack standard, so you get all the same sounds and features from the pedal version, but in a more studio/keyboard/synth-friendly format. 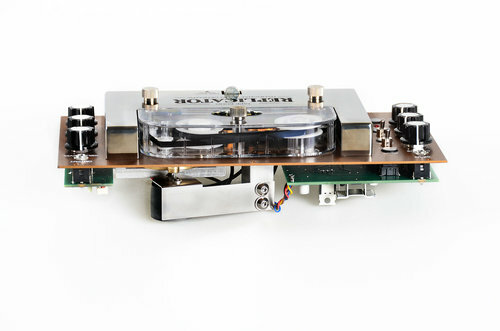 Get creative with CV control of true tape echos, process instrument signals/tracks in the studio or use as a table top echo unit for live sound.